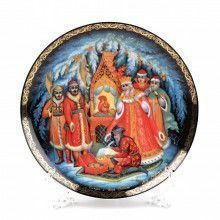 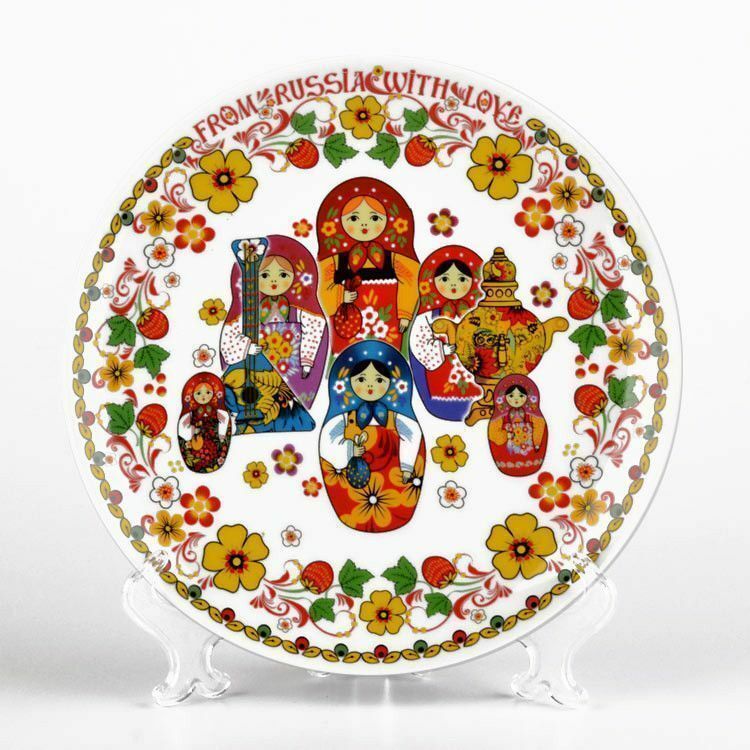 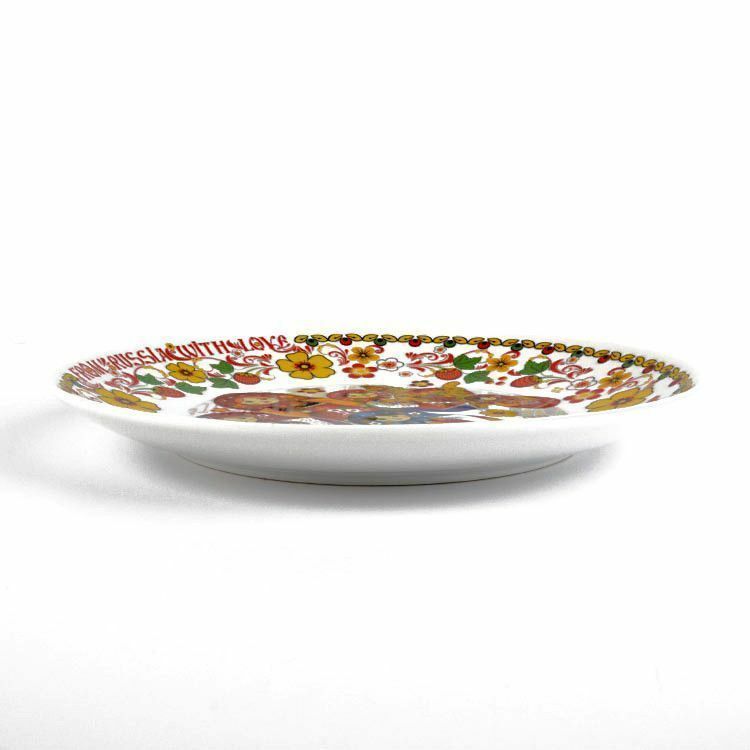 This 8" porcelain souvenir plate features a colorful ensemble of Russian matryoshkas. 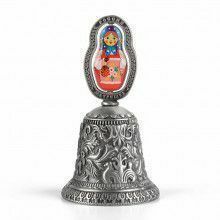 It looks beautiful on a stand or hanging on a wall (clear plastic stand included, metal hook for hanging included). 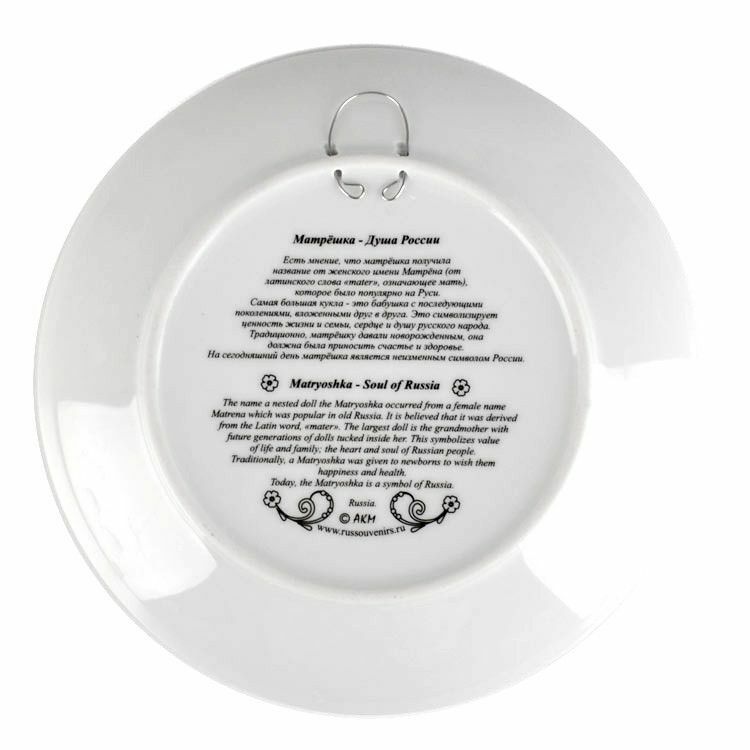 The back extraplains what the plate is about in English and in Russian. 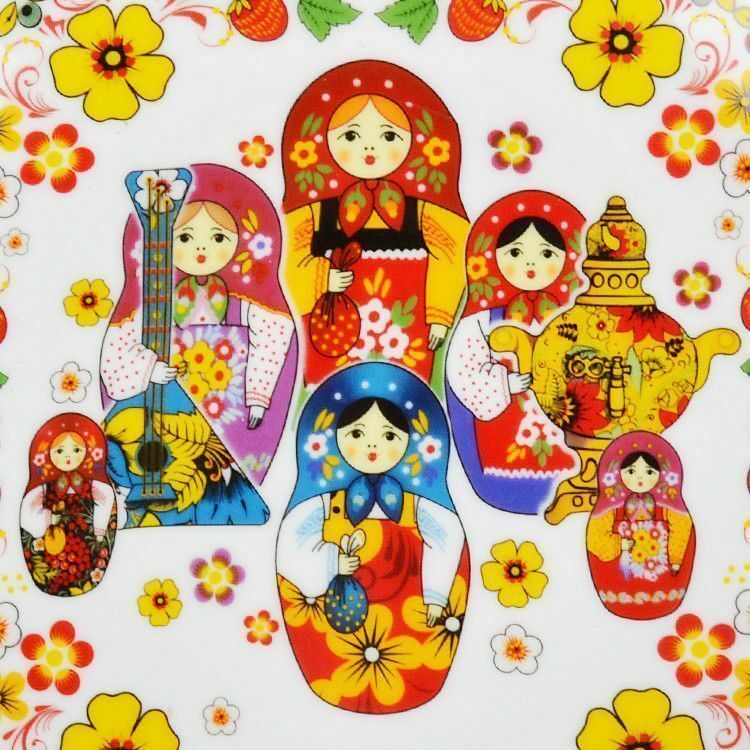 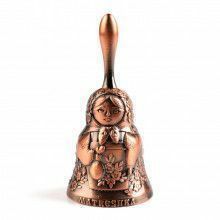 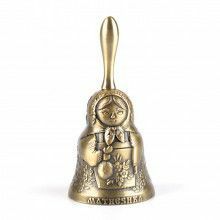 This art piece is a lovely souvenir from Mother Russia!